An advanced, intensive, orchestral training programme for young musicians culminating in major public performances of orchestral masterworks. The Orchestra Project Inc. is a not-for-profit association that provides opportunities for gifted young local musicians to be mentored and to perform alongside the very best musicians from Australia’s professional orchestras. It also enables the Victorian public to hear large-scale and/or rarely performed major orchestral works, played at the highest standards. As the name suggests, The Orchestra Project operates on a project-by-project basis, adapting both repertoire and staffing to best suit the requirements of each project undertaken. Concurrently, it seeks to ensure that young Australian musicians in the most formative years of their training can have direct experience of this repertoire from the inside, and also access to the experience and expertise of musicians currently working in the highest levels of the profession. The Project exists solely through the generosity of professional musicals and administrators donating their time, and through the enlightened gifts of donors who share The Orchestra Project’s ideals. Funds raised are used exclusively to support the underlying running costs of the Project, such as instrument and hall hire, and to ensure that the ticket price for the public performance enables as broad as possible outreach into the wider community. Any residual funds are rolled over to support the next Project. http://www.theorchestraproject.com.au/ or by contacting us on info@theorchestraproject.com.au. The Orchestral Project’s 2018 programme commences on 31 March and 1 April 2018 where an orchestra of young musicians mentored by leading professionals will intensively rehearse and perform Gustav Mahler’s Ninth Symphony in the magnificent space of the South Melbourne Town Hall, home to the Australian National Academy of Music (ANAM). 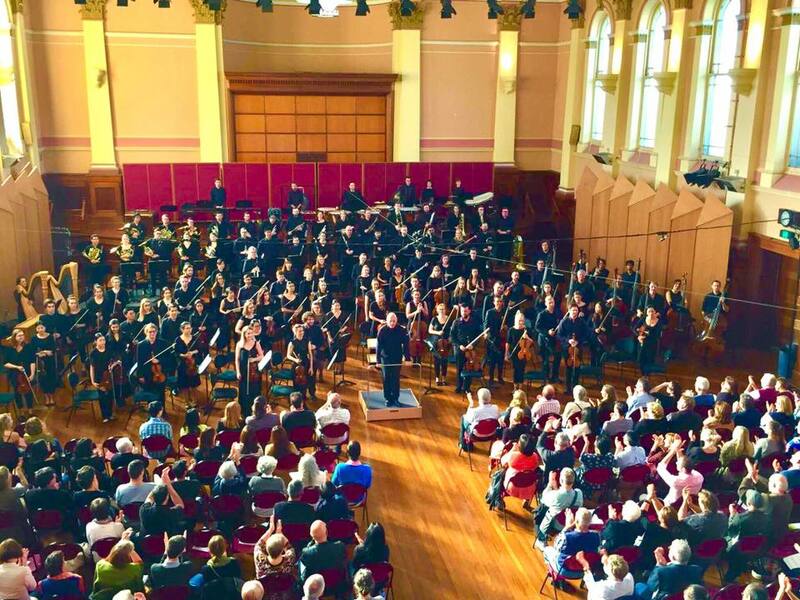 The Orchestra Project was established by conductor Fabian Russell in 2002 as a training ensemble for the development of of Australia’s best young orchestral musicians. Since inception it has partnered with The Melbourne Symphony Orchestra, Orchestral Victoria, The Consort of Melbourne, The Australian National Academy of Music, Monash University Academy of Performing Arts,Victorian College of the Arts and The University of Melbourne. Major projects have included intensive workshops and performances of major orchestral works by Richard Strauss, Gustav Mahler, Igor Stravinsky, Dmitri Shostakovich, Dvorak, Tchaikovsky, Maurice Ravel, and Sergei Prokofiev, along with a world premiere of a new completion of W. A. Mozart’s ‘Great’ Mass in C Minor.